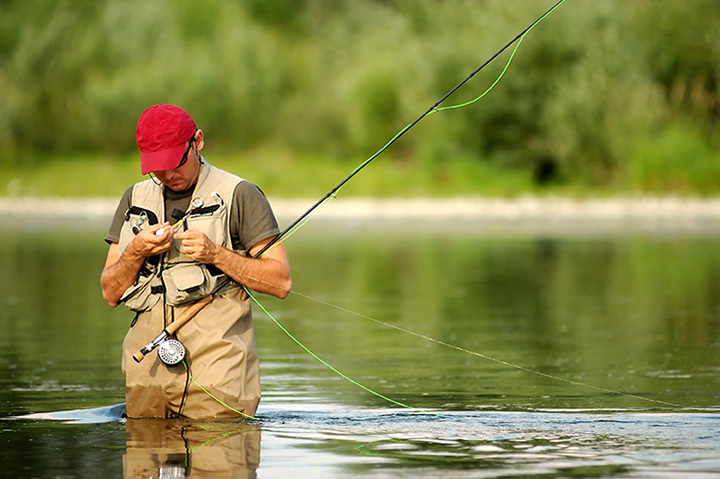 Fly fishing is one of the most popular past times in the world. Marylanders are spoiled with easy access anywhere in the state to free-flowing waterways with tons of fish. Anglers or would-be anglers, discover what all the fishing fuss is about at the following 10 best fly fishing spots in Maryland. The Gunpowder River is known as a great fly fishing spot with various kinds of trout. The river, an almost seven-mile long inlet, is governed by Maryland’s catch and release rule. While it’s a well-known spot for fishing, keep in mind the law and return the fish after you’ve caught them. While Gunpowder River is perhaps the most recognizable Maryland spot for trout fishing, Morgan Run is another fantastic option for those near Carroll County. Consider Morgan Run for your next catch-and-release, fly fishing, or lure fishing trip. Make sure to come early so you can beat the crowds. The Patuxent River in the Damascus, Maryland area is comprised of 12 miles of catch-and-release. The river is approximately 15-20 feet-wide with a few wider sections with between 2,500-3,000 rainbow and brown trout stocked annually. The nearest fly shops is Hunting Creek Outfitters in Frederick. Consider stopping by to stock up before your trip. The Chesapeake Bay is one of the main waterways throughout the entire Maryland area and greater Eastern seaboard. Several year-round fly-fishing businesses, including Josenhans Fly Fishing and others, operate on the bay. Anglers, keep an eye out for striped bass, bluefish, and more saltwater species. The Northern Branch of the Potomac River offers “excellent opportunities for smallmouth and largemouth bass, walley, musky, carp, and panfish,” according to www.diyflyfishing.com. The river has a few restrictions along certain parts, including a catch-and-release rule and artificial lure-only rules, so make sure you’re aware of the restrictions before heading out. The Savage River runs for almost 30 miles-long throughout Garrett County in Maryland. Brown, rainbow, cutthroat and brook trout run aplenty throughout the river. We recommend looking for the entrance along Savage River Road. One of the first creeks in Maryland to be stocked with trout, Big Hunting Creek is actually a relatively small creek, only ten feet wide. Even so, anglers will find a large population of brown trout, rainbow trout, and brook trout. Restrictions include fly-fishing-only and catch-and-release, so make sure to double check which might apply to you. Those looking to fish the Youghiogheny River might consider stopping by Heavy Water Anglers first. Their fly-fishing guide will teach you everything you need to know about making the first of this river work for you. Keep in mind that they practice catch and release. If you’re looking for a little-known fishing spot, consider a place like Allen Pond in Wicomico County. Fish types include largemouth bass, bluegill, perch, crappie, and more. Unlike some of the bigger spots on the list, you’re unlikely to encounter a lot of traffic while still having a successful trip. View more Maryland Fishing Holes.